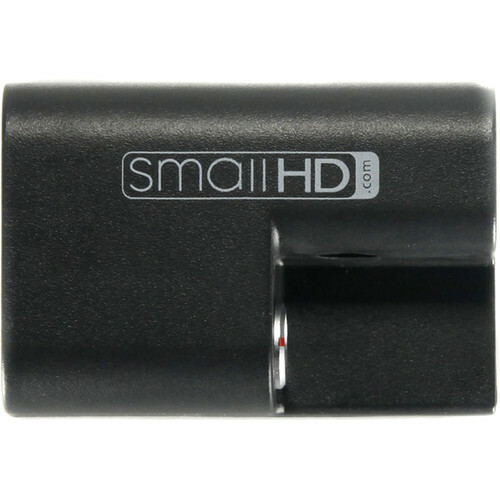 The Faux LP-E6 LEMO Adapter from SmallHD is shaped like a Canon LP-E6 battery, allowing you to power your equipment from your professional power source through its LEMO or barrel input connection. Box Dimensions (LxWxH) 2.45 x 1.7 x 1.1"
Faux LP-E6 LEMO Adapter is rated 1.0 out of 5 by 2. Rated 1 out of 5 by Alex from Dead on arrial For this price, Id expect quality control. Unfortunately its DOA. does this come with the lemo cable to d-tap as well?nothing is pictured, also, how long is the cable?Thanks.